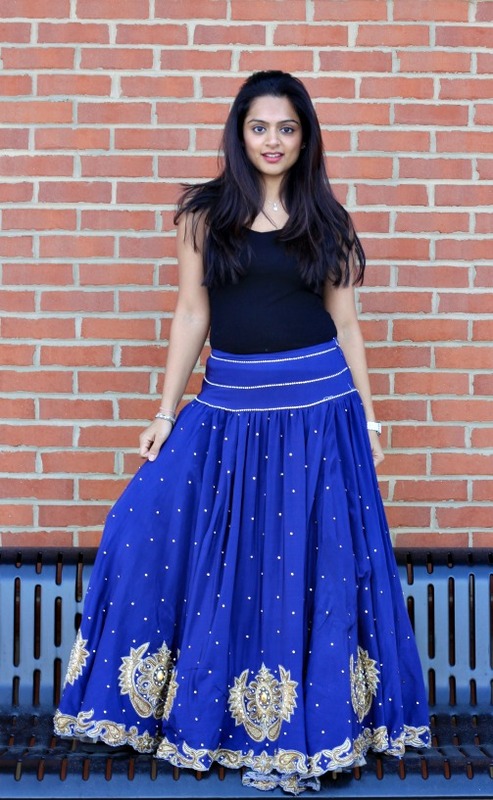 Lately we have been seeing lenghas with lots of “gher” or volume and we love it! But of course, our taste changes with the wind so we hate making permanent alterations to our outfits. 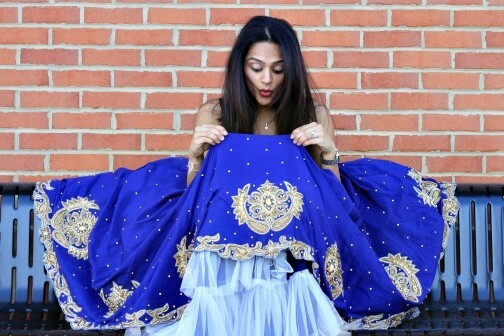 An easy way to transform the look of your lengha skirts is to add a layer or two (or many) of tulle underneath! 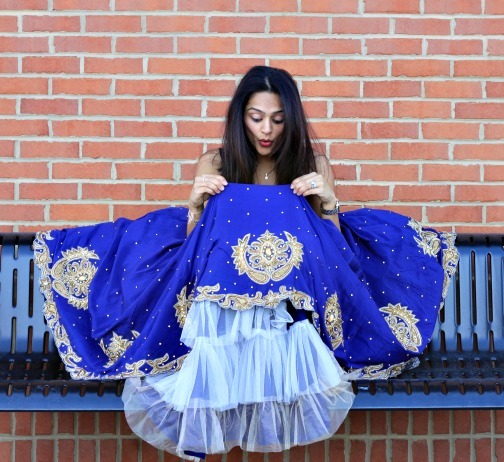 Dipti’s reception skirt has a removable, custom-made skirt underneath made up entirely of tulle – GREAT idea! But you don’t need to get something custom-made! 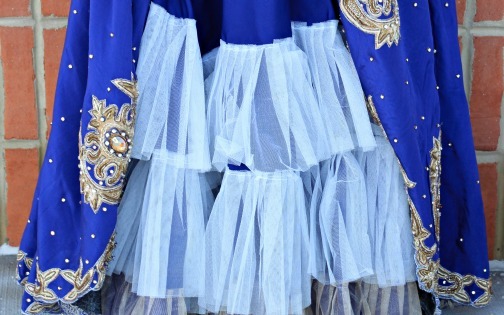 You can purchase a “tulle petticoat” like the ones here or here traditionally made for bridal wear. Here’s the skirt with the puffy look! What do you think?